Can you believe I woke up bright and early yesterday morning with this lil' guy floating around in my head? I could not get to painting fast enough. 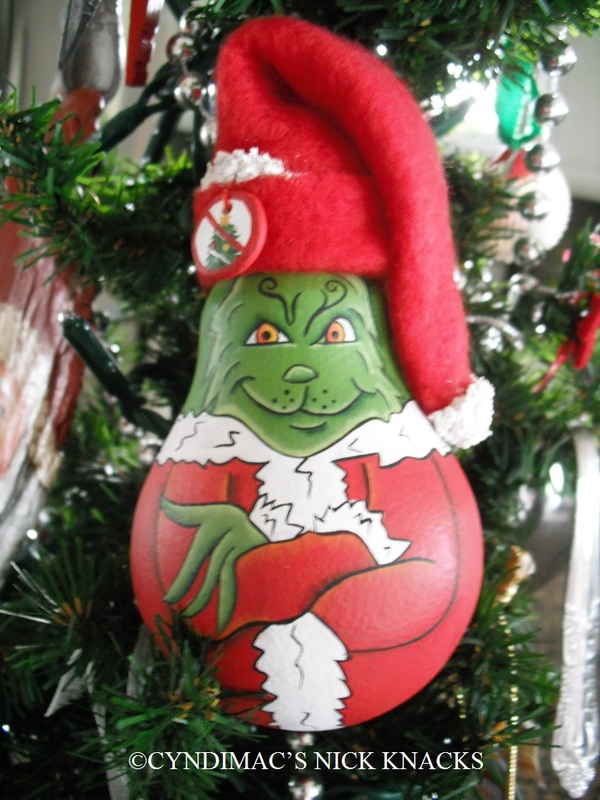 I have painted a Grinch face bulb ornament before and finished up some spoon ornaments with him on them but wanted more of a full bodied bulb and this is my first attempt. 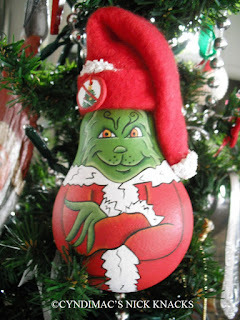 I just can't seem to get enough of the green meanie these days...just itching to paint a tree topper...I envision a Grinch tree in my house this Christmas! Oh yeah, credit has to go to my creative husband for coming up with the button idea "no Christmas!" Can ya tell I've had my head in the sand and surf? 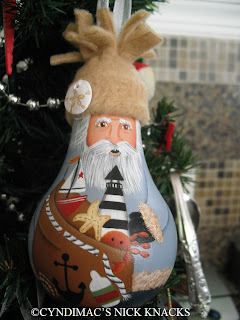 I have wanted to paint an entire collection of "beach" ornaments and this is the second in my series with the lightbulbs for ornaments. I love how this turned out. Was fun to paint santa's coat a different color other than red. Enjoy! Stay tuned for more!